I'm not sure if anyone gets as excited as I do when they find Watermelon Radishes at their local market. Have you ever seen one before!? You wouldn't be able to tell how exciting they are on the inside by looking at them on the outside - but when you slice one open, the fuschia pink and lime green colors can almost shock you! It has to be the most prettiest radish in the market, hands down. Not only are they beautiful, but they are mighty tasty. The flavor is a little sweater and less spicy than your traditional red radish. I just love them! In a small mixing bowl, wisk together balsamic, honey and basil. Prep your salad using all ingriendints and top with balsamic dressing. I'll admit, this is one of my more cooky concoctions, but it works and it's delicious! A great way to pack in your greens early in the morning. #cookinginahotelroom continues with a hearty colorful salad that is packed with protein and veggies - a complete meal in one bowl! If you're not familiar to Kamut, it's an ancient grain from Egypt. It's very similar to brown basmati rice, but thicker and chewier in texture. It's also high in protein and has a great nutty flavor that is very satisfying to a hungry appetite. I made this dish in my hotel room. This veggie packed pasta sauce is a perfect complete meal! Stewing your veggies in a sauce like this is another great way to reap all the nutrients and phytochemicals from your veggies. You can enjoy this sauce like I did with gluten-free pasta shells, or with your favorite pasta veriety. It's also a perfect dish for a picky eater. In a large pot, saute garlic, tomatoes, mushrooms, eggplant and crushed tomatoes together until simmering. Add fresh basil and spices, and toss pasta lightly into sauce. I ended up throwing in some fresh spinach at the end - it was a great addition! A quick pick-me-up, breakfast, or snack to take on a hike! You will barley taste the mild and delicate flavor of baby spinach - it's simply no match for creamy pungent peanut butter! This snack is also great for kids (or adults) that won't eat their veggies. Toast your bread, smear with peanut butter, top with spinach and banana - enjoy! Yup. That's what I'm doing for 5 weeks - and it's actually not that bad! Well, I do have a full kitchen so that makes things a little easier... But I don't have my VitaMix, Shun knife, seasoned pans or spice cabinet with me. Actually, don't get me started on the knife situation I'm dealing with here - I'd probably be better off using plastic than these crappy things they call knives... But anyways, the point is I'm making it work! And you can too while you're traveling! First off, if you plan to be away in a city for a long amount of time, I highly recommend researching accommodations that offer a full kitchen in your room - it's almost necessary in order to maintain a healthy lifestyle while traveling. In addition to it being healthier, you'll save money by cooking apposed to going out for every meal. This way you can eat the majority of your meals using your own fresh ingredients, and go out to nicer places occasionally during your trip. Don't forget that an important part of most travel experience is enjoying the culture and food the locals offer - so don't lock yourself up in your hotel room and deprive yourself of this... Rather, be picky and enjoy a handful of the best places the city has to offer, and have the rest of your meals in your own healthy kitchen. There you've got grains, veggies, fruits, legumes and healthy fats - that's all you need! Of course you can get a little more fancy as you go along, but this list is a great start and will get you through a lot of fast, yummy and healthy meals. 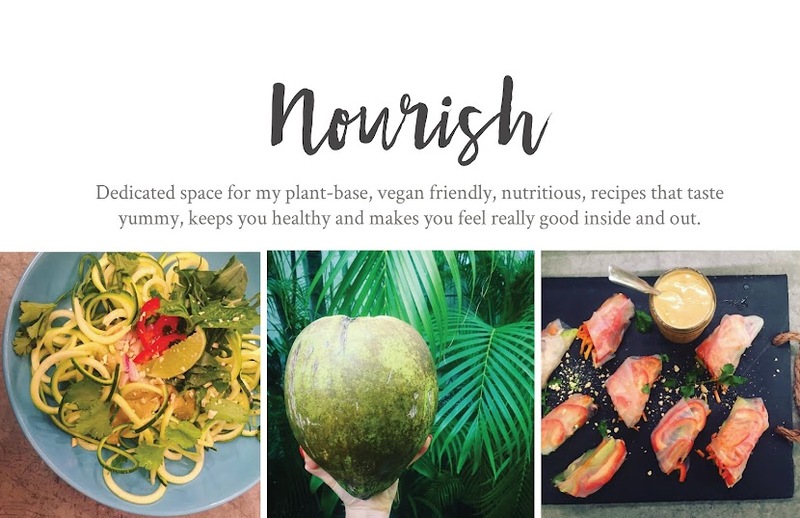 There are plenty of recipes you can make straight from my blog using just these ingredients such as Breakfast Chia Pudding, Bowl Of Goodness, Chickpea Salad and more! In addition, I'll be sharing all the goodies I come up with in my hotel kitchen this month for you to enjoy, just follow along!